Shortly after this, the families placed a lien on funds being held by Cubic Defense Systems Inc., a San Diego defense contractor. The government of Iran, under the Shah, had been doing business with Cubic Defense before the Iranian revolution in 1979. It was our contention that funds it had on account there had been frozen by the US government and actually belonged to the Iranian Ministry of Defense, one of our judgment debtors. Cubic Defense was in arbitration with the Iranian government over the money pursuant to the Algiers Accords, signed between the US and Iran, which were suppose to provide a framework to settle these types of disputes between US and Tehran. Iran had gone into the arbitration claiming that Cubic Defense owed it either the military equipment it had purchased or the value of the contracts. The terror victims sued Cubic Defense to turn over the money, ironically agreeing with Iran in the San Diego court that the money did indeed belong to the Islamic regime. 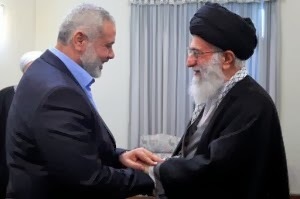 Since Iran and its Ministry of Defense still had an unpaid $70 million judgment against them, the funds needed to be turned over to terror victims. Defending themselves against our enforcement efforts, the Iranians alleged that they had sovereign immunity and the funds could not be executed against by the victims' families. The Government of Algeria supported the Iranian claim and filed briefs with the court against us. The US Department of Justice even got involved and filed a statement of interest. However, the victims' families prevailed and the judge was convinced they were right. More than ten years after they filed suit against Cubic Defense to turn over the money, the court finally awarded the money to the families! The Iranian Ministry of Defense has yet to exhaust its right to appeal before the funds can be awarded. However, the judge has ordered the money transferred into their names. Needless to say, this is a tremendous victory for the victims of Islamic terrorism, especially at a time when the US and EU are rushing to bolster the outlaw regime in Tehran. The murders carried out by the Iranian proxies of Hamas in 1997 are not forgotten. You can read the court decision of Rubin v Cubic Defense below. Technorati Tag: Israel and Iran and Hamas and Shurat HaDin.